The Government of Canada updated its embattled Temporary Foreign Worker Program on Friday, announcing tougher policies about the hiring of foreign workers to low-wage positions and introducing stronger oversight on companies that apply for assistance through the program. 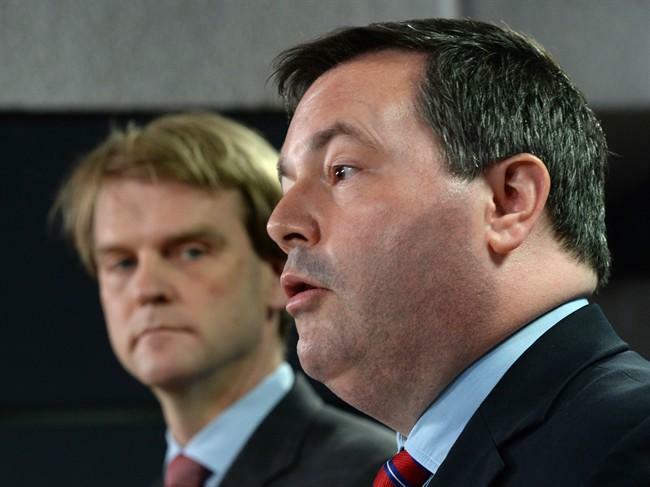 Under the new system, announced by Employment Minister Jason Kenney and Immigration Minister Chris Alexander, said the names of companies that obtain foreign workers through the program will be made publicly available, and companies that abuse the program will be more harshly punished. "We are overhauling the program today to make sure we put Canadians first," Kenney said at an afternoon press conference. The changes come after Ottawa was forced to shelve the program amid a barrage of negative reports and allegations that the program was being abused. The Temporary Foreign Worker Program was intended to give Canadian companies a option to fill job vacancies when qualified Canadian applicants were not available. But a series of reports have emerged in recent months about companies in everything from the banking industry to fast food restaurants used the program to hire less-expensive overseas employees at the expense of Canadian workers. In some cases, businesses have even been accused of terminating positions held by Canadian workers. Under the new system, employers who obtain approval to hire temporary foreign workers will be publicized, allowing Canadians to see what companies, from what regions and in what industries, are using the Temporary Foreign Worker Program. Part of that oversight will also require those companies report how many Canadians had applied for the position and why they were rejected as applicants. The changes will impose a cap of 10 per cent on how many low-wage temporary foreign workers are allowed to work at a specific work site. The Temporary Foreign Worker Program will longer accept applications from retail and food service businesses in areas with unemployment rate of more than six per cent.